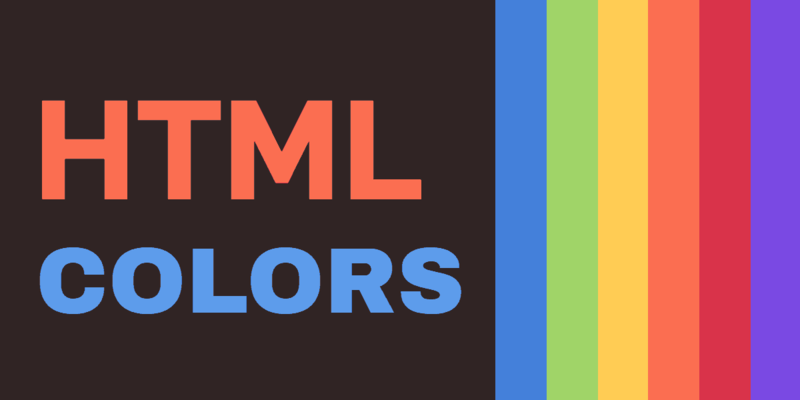 HTML provides several options for setting colors. You should use CSS to specify all colors as color attributes in HTML are deprecated and generally are no longer supported. This article assumes you're working with CSS3. As a result of this, some of the features presented here won't work in older browsers. The most straightforward way to specify any color is with the pound (#) character followed by six case-independent hexadecimal digits. In case you aren't familiar with hexadecimal numbers, they're numbers which use a base of 16 rather than 10. The letters A through F represent the “digits” 10 through 15. For a 2-digit number, the value is 16 time the first digit, plus the second digit. The hexadecimal number 3F means 3 * 16 + 15, or 63 in decimal. The first two digits of a hexadecimal color are the red value, the next two are the green, and the last two represent the blue. Think of “RGB” to remember the order. Smaller values yield darker colors, so #000000 is black while #FFFFFF is white. A shorter version uses three digits. It's equivalent to the six-digit format, where each digit is duplicated to give the six-digit version. The value #46A is the same as #4466AA. The eight-digit version adds a transparency value. In the three and six-digit notations, all colors are fully opaque. The eight-digit notation has two digits at the end indicating the degree of transparency. A value of 00 indicates a completely transparent color, and ff is completely opaque. For example, #0000FF88 would be a semi-transparent blue color. Similarly, you can add one digit of transparency to a three-digit color code. The four-digit value #46A8 defines a semi-transparent color and is equivalent to #4466AA88. If you prefer, you can use functional notation for a color value, with decimal numbers from 0 to 255. To get an alpha channel, use rgba, and four numbers. The alpha value, confusingly, is a number from 0 to 1.0, not 0 to 255. You can also use named colors instead of numeric values. Several CSS properties specify colors for different aspects of a page. The color property is for the foreground color of an object and nothing else. If you want an element's area to be filled out with a color, you use the background-color property. It normally covers the element's content, padding, and border areas. A third property, border-color, sets the color of a table's borders. Some properties use colors in combination with other values. For example, the border property uses three values: the width, the style, and the color. For example, you would use border: 1px solid #000; to add a black border around the object. Meanwhile, CSS colors use the sRGB color model. This is an “additive” color model, where the red, green, and blue components add together to produce the resulting color. Unless you're a color specialist, you don't need to know how it works in detail. printers aren't precisely calibrated and will vary from the ideal. However, an sRGB color will give you something close to the expected color on any device that's in working order. 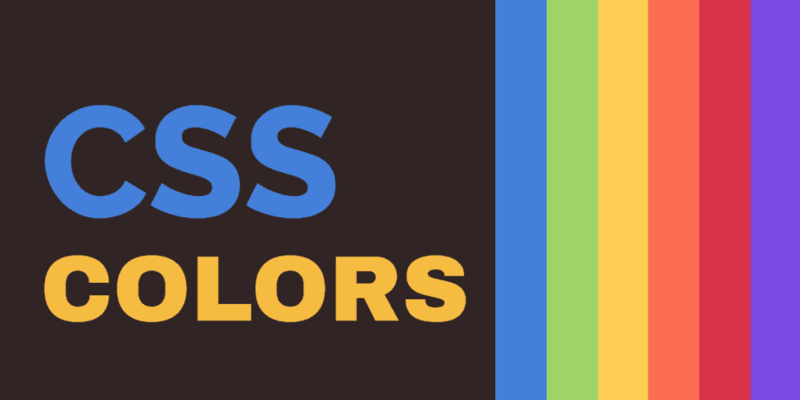 Using named colors in CSS gives a couple of advantages. If you have favorites, you don't have to remember their numeric values, just their names. Other people working on the same page, or trying to create a new one with a similar scheme, will understand your intent better. Some colors have more than one name; it doesn't matter which one you use, or whether you use upper or lower case. A misspelled name,unless it happens to match something else, won't have any effect. 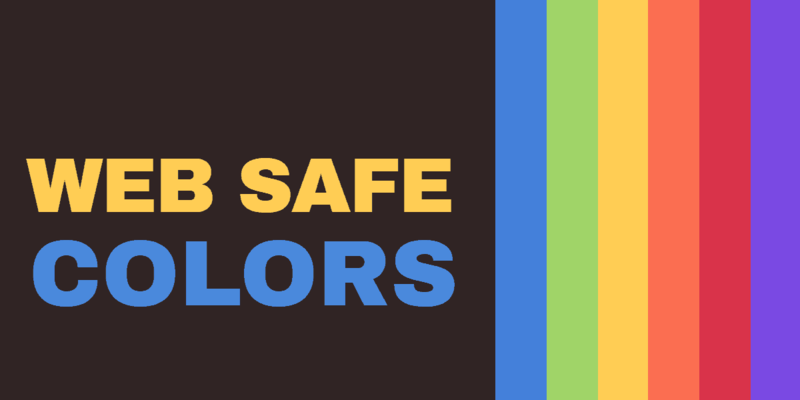 You may have heard of “web-safe” colors. On older computers with 8-bit color, only certain colors could be displayed directly, and others were produced by mixing combinations of these colors. The result was lower resolution. Modern graphics cards produce 24-bit color, so being “web-safe” isn't a concern for them. You can specify all web-safe colors with 3-digit notation. If you need a particular color, use it. If the exact shade doesn't matter, sticking with web-safe colors gives you better compatibility with old machines.